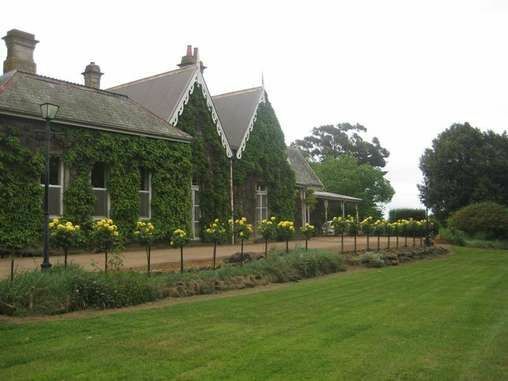 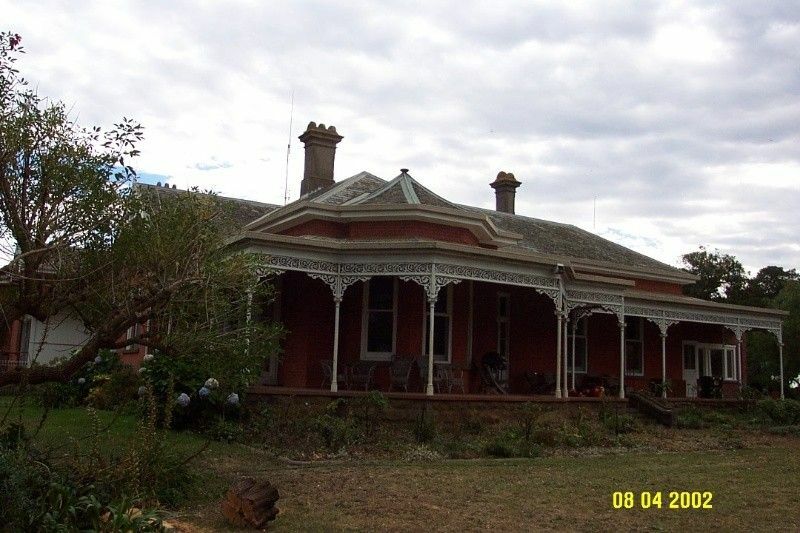 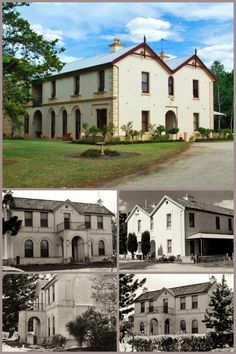 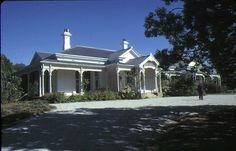 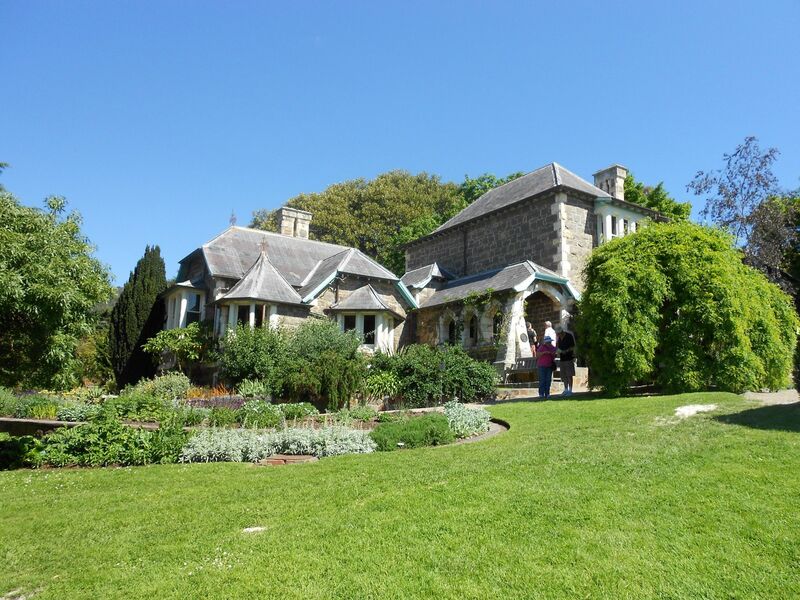 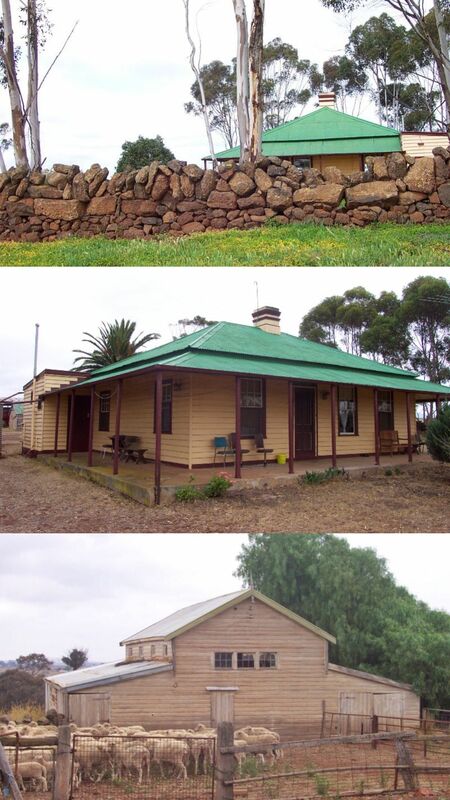 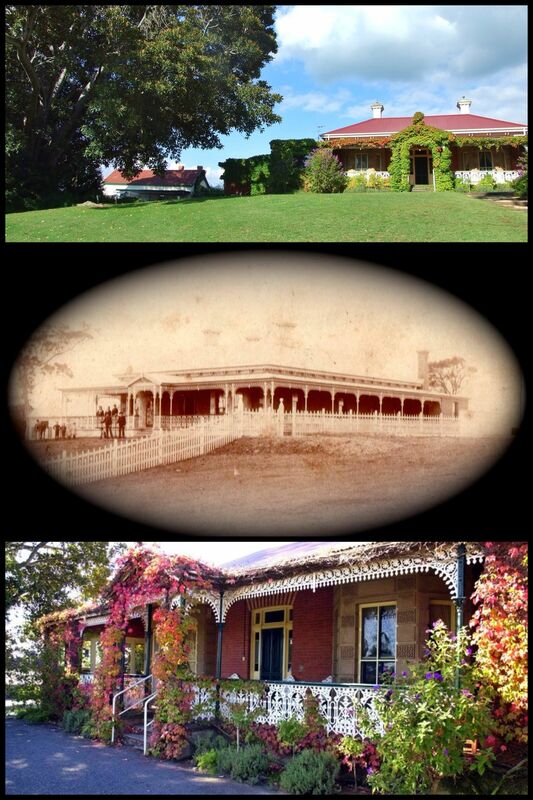 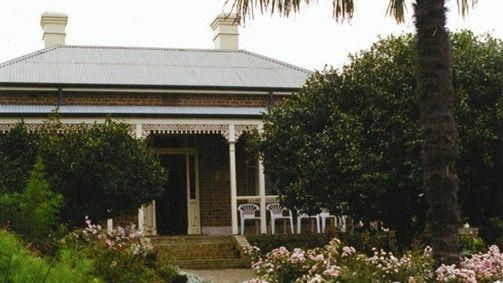 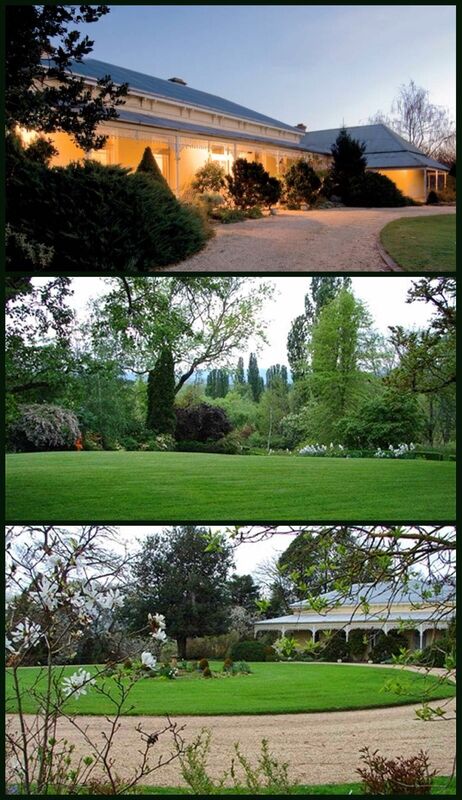 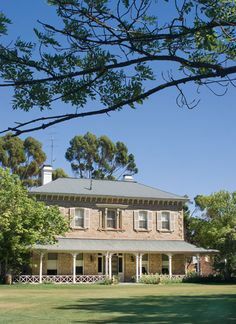 Mount Ridley Homestead, Mickleham (35km N of Melbourne), is a fine bluestone house built 1848-50 by Capt. 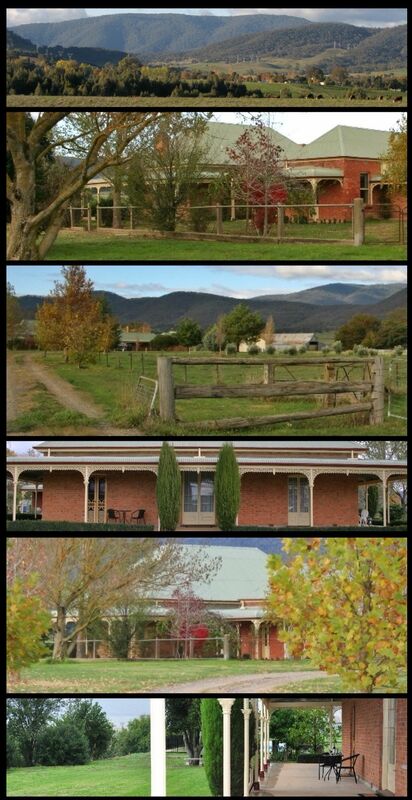 James Pearson beside extinct volcano Mt Ridley. 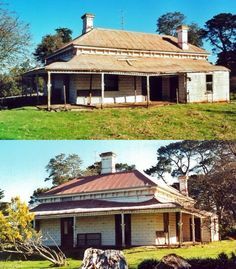 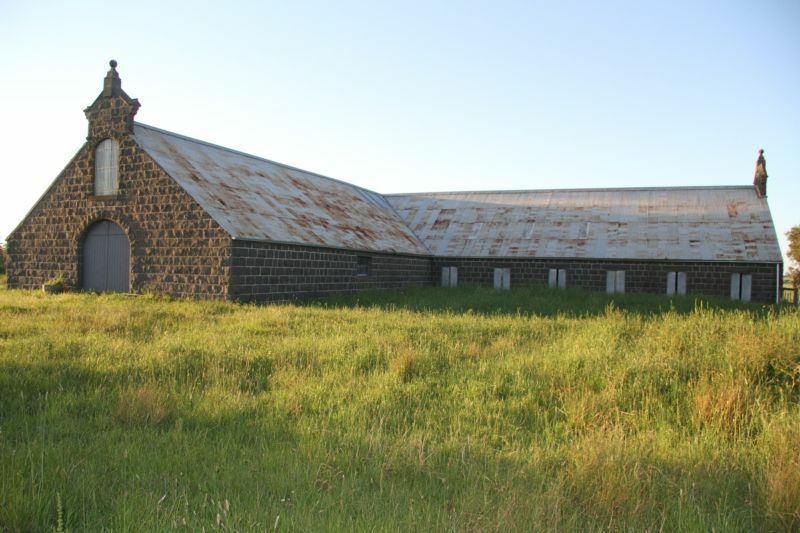 Mount Koroite Homestead, Coleraine (329km W of Melbourne). 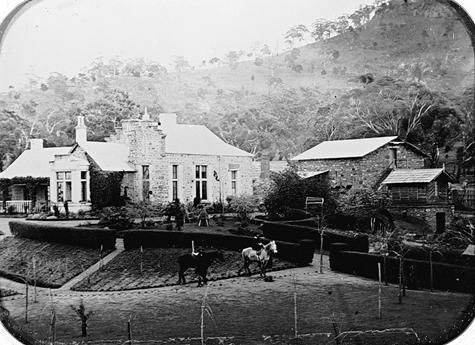 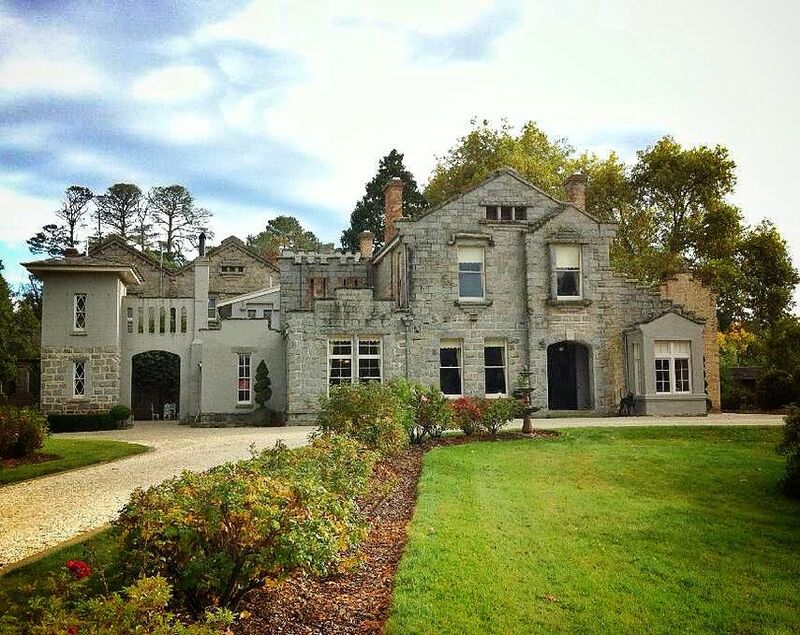 The property, originally part of the Konongwootong run of 57,000 acres, dates back to 1840. 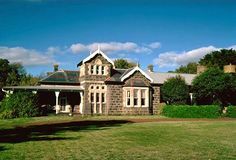 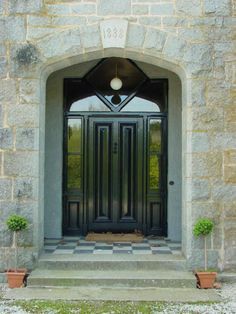 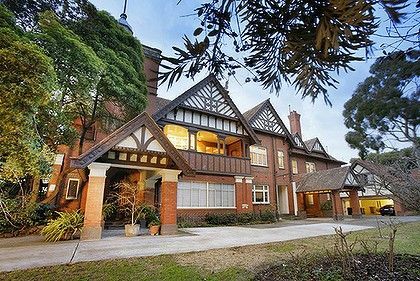 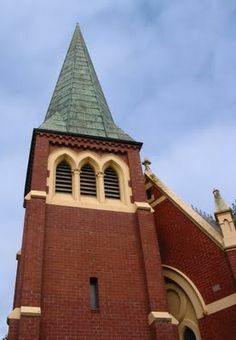 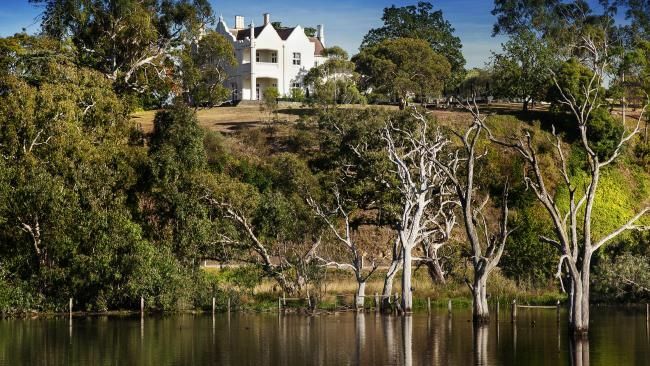 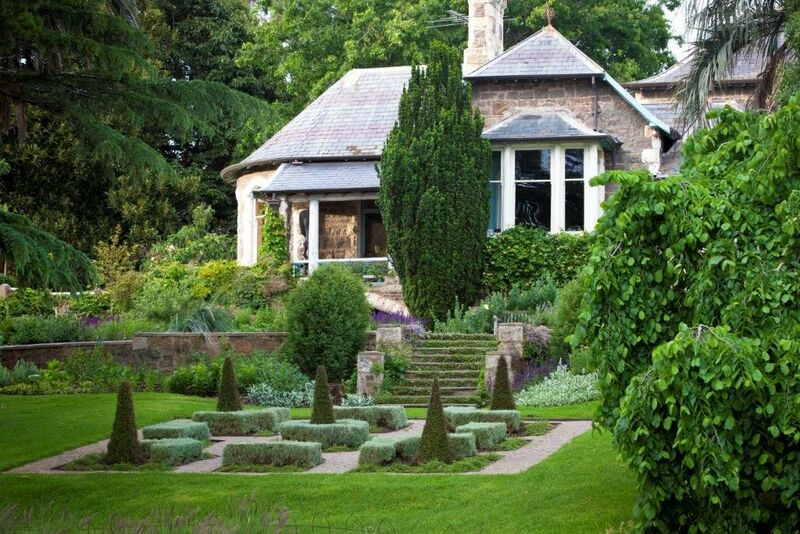 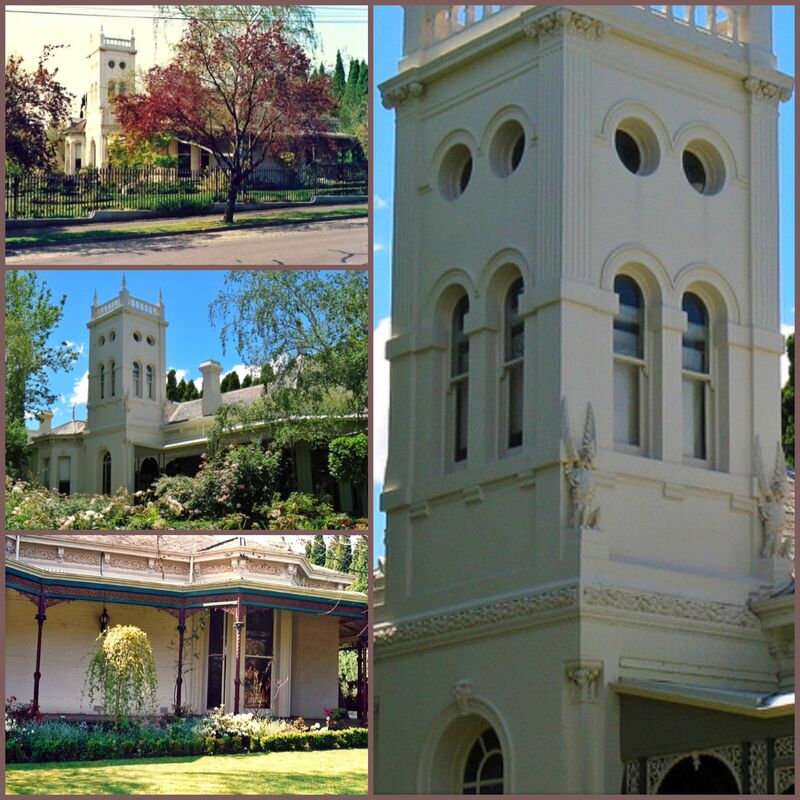 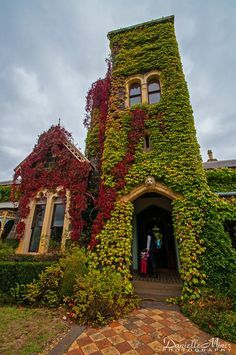 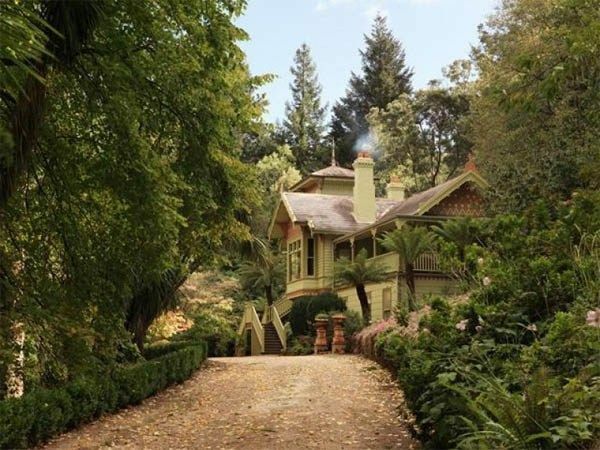 Edrington, Berwick, was designed by eminent architect Rodney Alsop and built in 1906-07 for the West Australian pastoralist Samuel P. McKay. 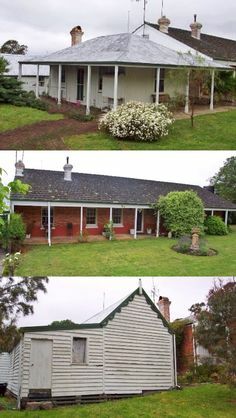 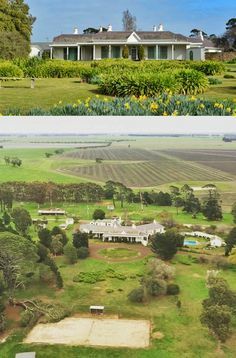 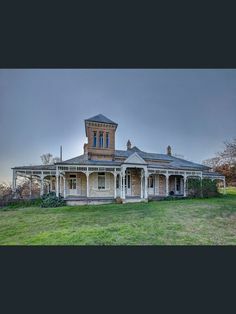 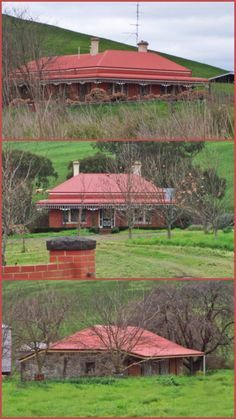 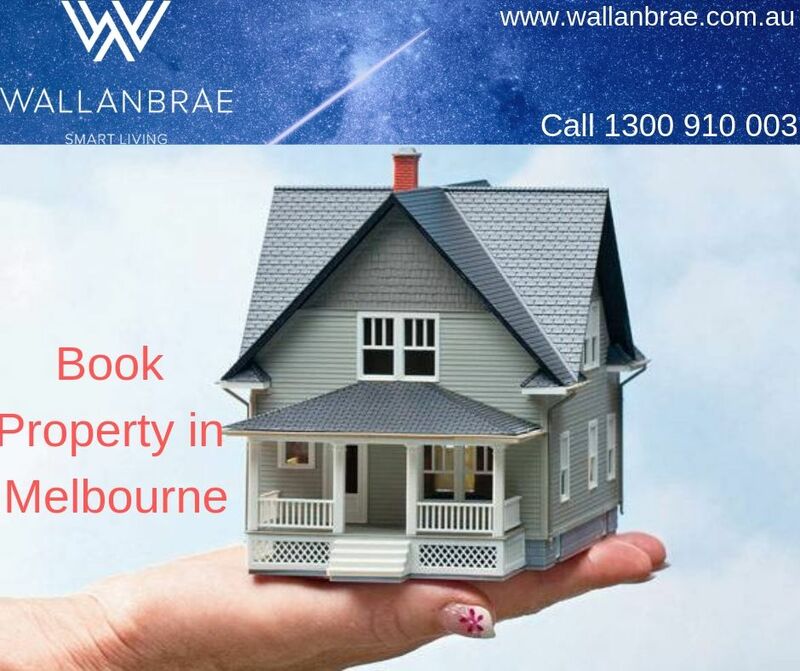 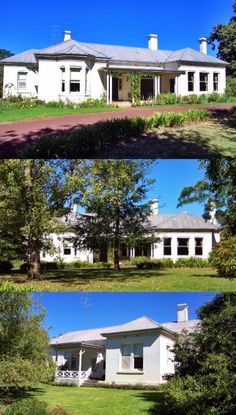 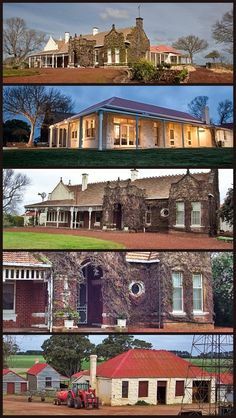 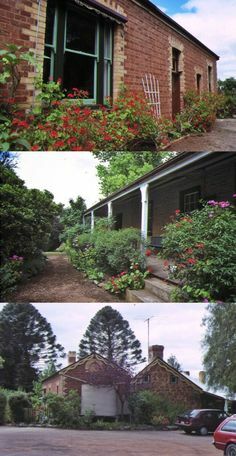 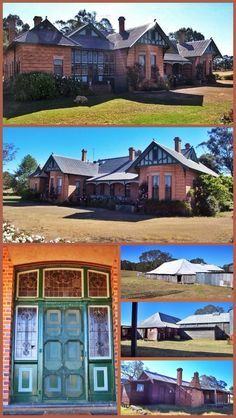 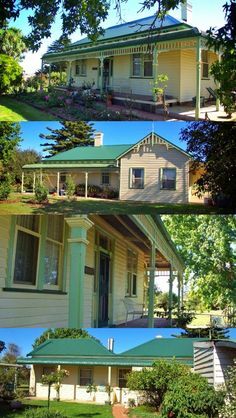 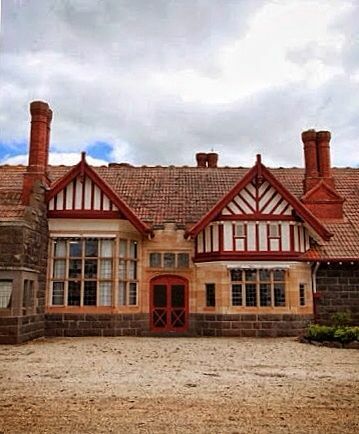 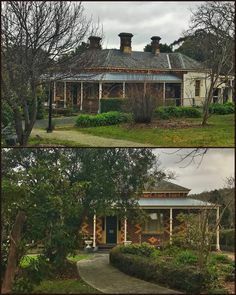 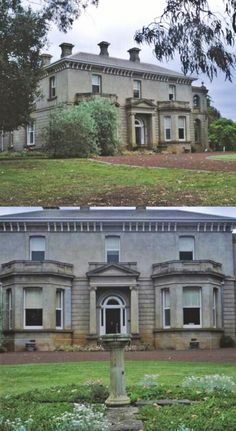 Kippenross, Melton (35km W of Melbourne), is a predominantly intact and elaborate local example of a Late Victorian Picturesque style homestead. 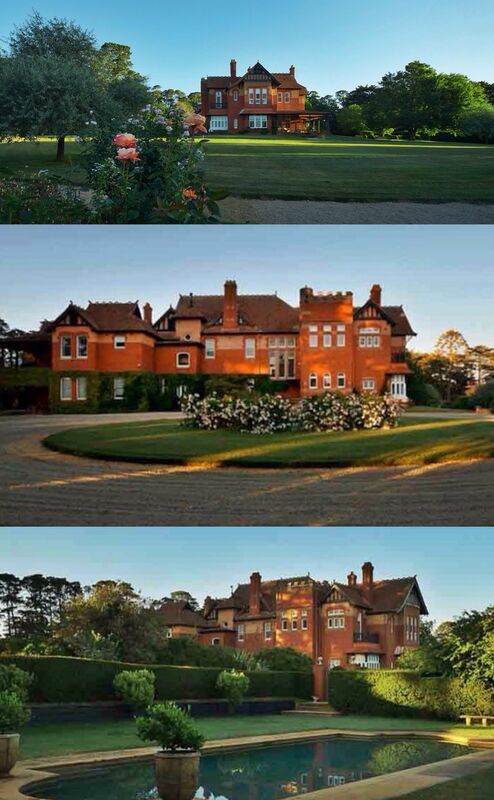 Marathon, Mt Eliza (Mornington Peninsula), was built in 1914 for Gen.
Edzell House, Toorak - the road front. 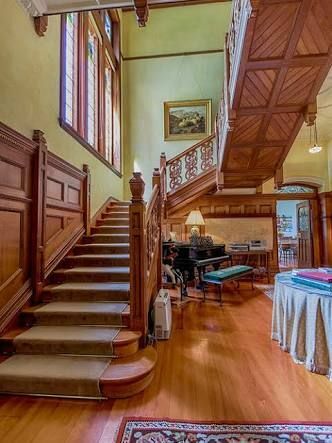 Lovely Edzell was built in 1892 and is a heritage-protected mansion in the Elizabethan Revival (Queen Anne) style.